Eating a healthy breakfast is very important, yet it can be difficult to eat healthy when mornings can be so hectic and busy. 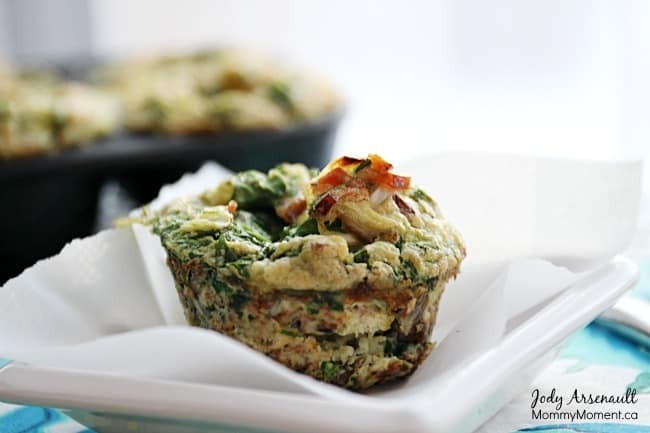 These Bacon, Egg and Spinach Breakfast bites are packed with protein and can be made ahead of time for a quick and healthy breakfast. They are a hit with kids and adults alike. These breakfast bites are Paleo friendly, dairy and gluten free. 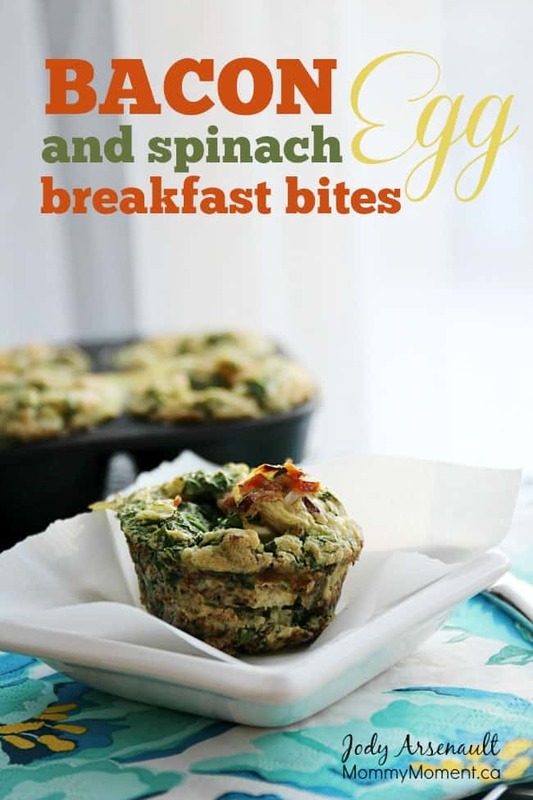 These bacon, egg and spinach breakfast bites are easy to make and awesome to have on hand for a quick and healthy breakfast. Whisk eggs and add remaining ingredients. Place mixture into well greased small muffin tins – I prefer using lard and cast iron muffin pans. Place in oven and bake 25 minutes or until done. We love using our own homemade bacon for this recipe, but any thick, good quality bacon will do. These breakfast bites would make a perfect St Patrick’s Day Breakfast – and if you want other St Patrick’s day food ideas, check out these recipes, Broccoli Salad with Bacon and Beef and Guiness Hand Pies and these St Patrick’s day shamrock shakes too. I’m looking forward to trying this recipe especially for my granddaughter’s lunch at school. OH, Lord….these look so good. I cannot wait to try them. Just need to buy some spinach as I used my last in a smoothie. Do these freeze well? I would make enough for a week, then I could grab 10 extra minutes in the morning. A great finger food for breakfast, breakfast on the go and even for school lunches. These are perfect for a grab-and0go breakfast. I can’t wait to try them. Holy, Moly these breakfast bites look divine! Can’t wait to try them. This recipe sounds so good I want breakfast now! These look so good! Do you cook the bacon ahead or put it in raw? We cook it first. They are delicious. They look soooooooooooo tasty, I can’t wait to try them, thx!